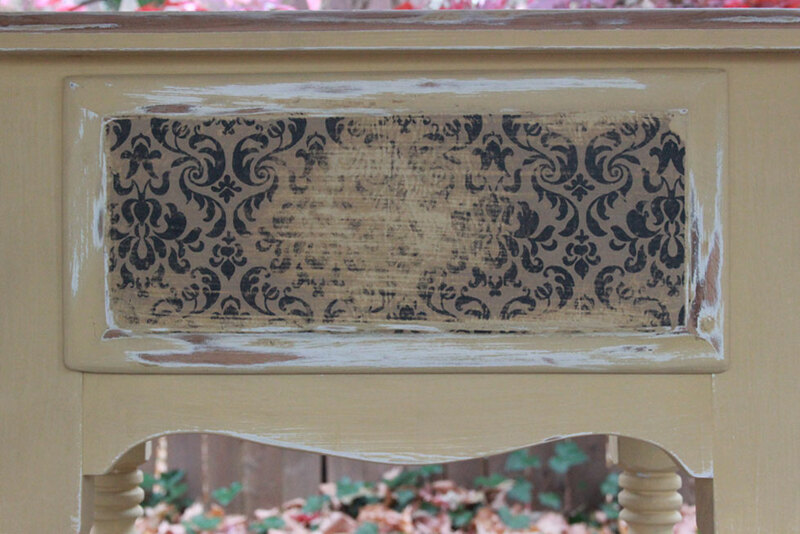 DIY Distressed Decoupage + Spray Wax! 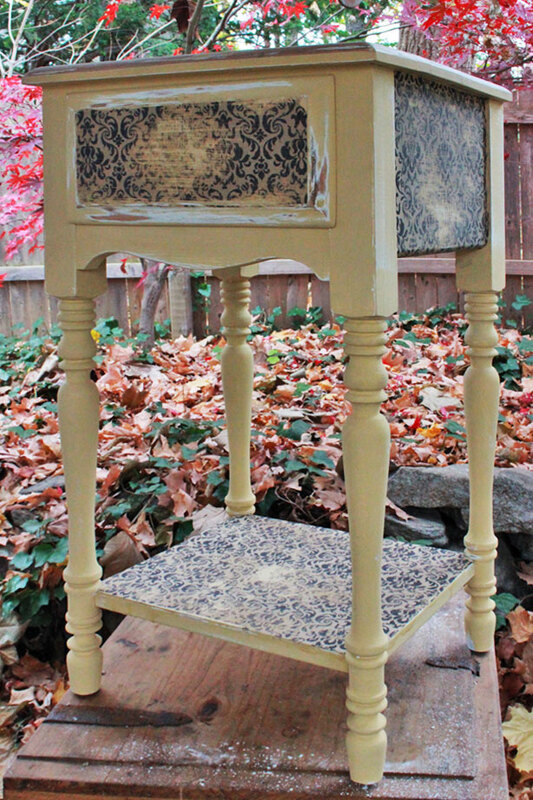 Hello, fellow DIYers – Heather from Thicketworks here with a fun technique to add the beauty of Distressed Decoupage to your furniture projects! 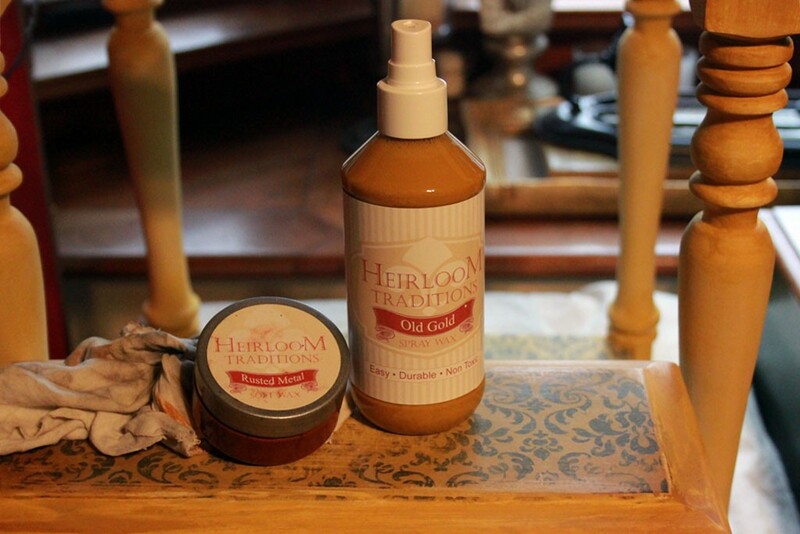 This post is sponsored by the creative folks over at Heirloom Traditions. 1. To begin, clean the surface of your furniture with a damp rag. If you are working on a piece that was previously stained, I recommend a coat of HTP Ultra Guard to seal and prime the surface. If the piece is already painted, you needn’t bother. 2. 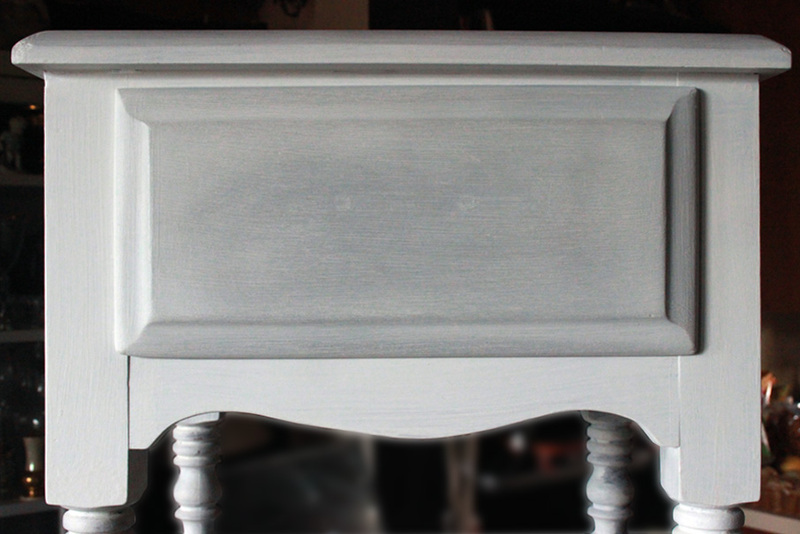 After priming, allow to dry and either sand the surface lightly, or smooth it with steel wool. 4. 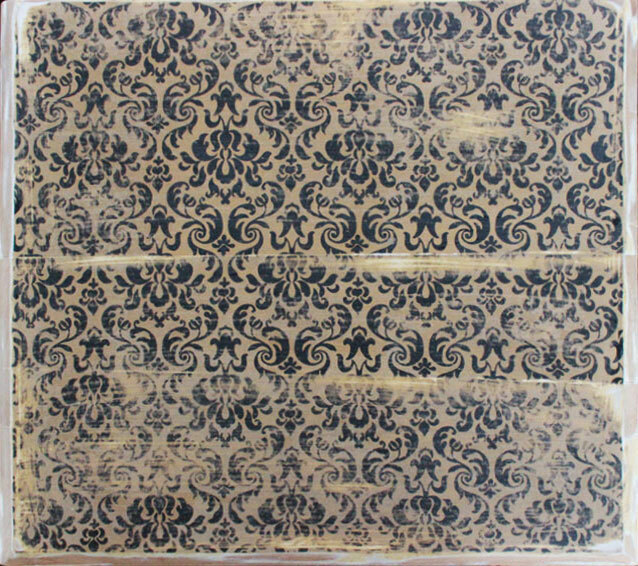 Once the paint has dried, roughly cut the tissue paper into sections that are slightly larger than the surfaces to be decoupaged. 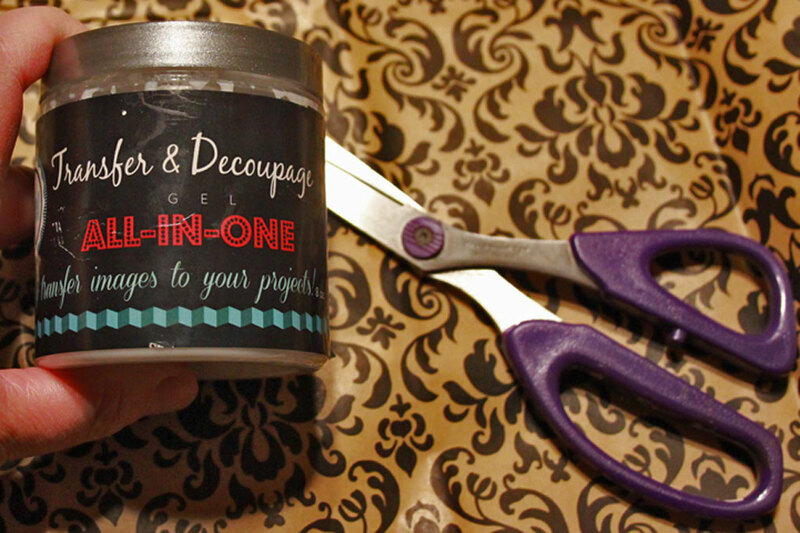 Don’t try to trim the edges of the tissue paper to exact dimensions – we’ll take care of that in just a bit. 5. 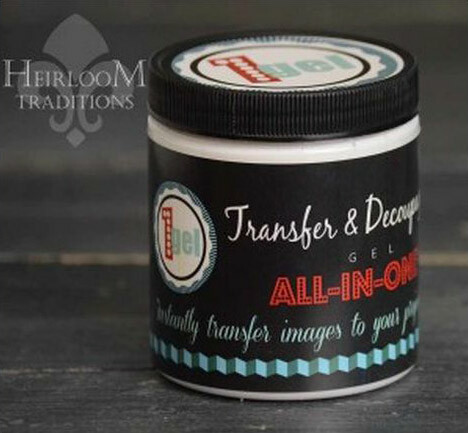 Apply a generous coat of Heirloom Traditions 1Gel Transfer & Decoupage Medium to the surface where the tissue will be applied with a smooth brush. 6. Carefully place the tissue paper onto the wet surface and smooth it out. 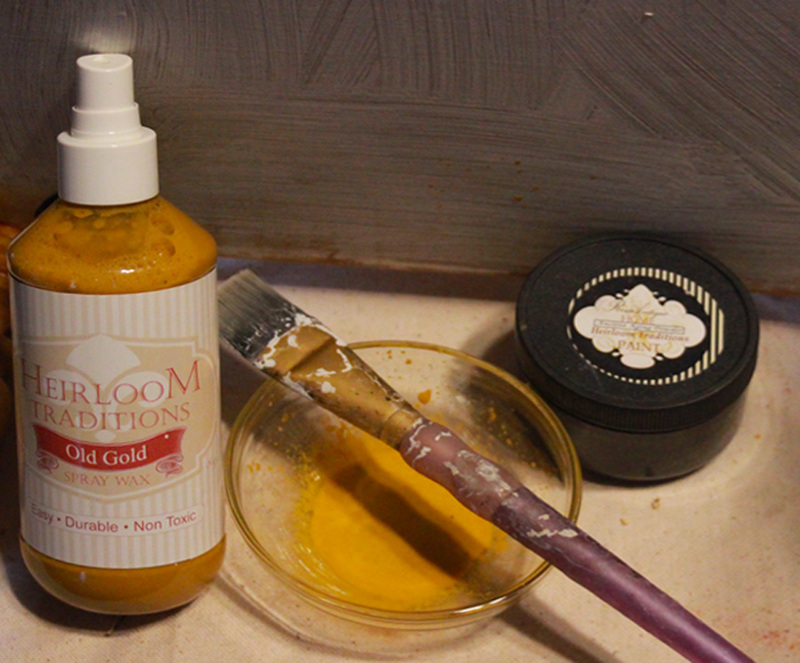 I used both a rubber brayer and a Bondo spreader to remove wrinkles and ensure good contact. It’s important to apply gentle pressure in order not to tear the tissue. Note: Don’t worry about any paper that overhangs the edges of your chosen surface. Allow this to dry thoroughly. Overnight is best. 7. Once the tissue/1Gel layers have cured, trim the paper by sanding carefully along the chosen edges. This will perfectly blend the layer of paper into the surface of the wood, and make for a seamlessly smooth surface at the final stage. 9. 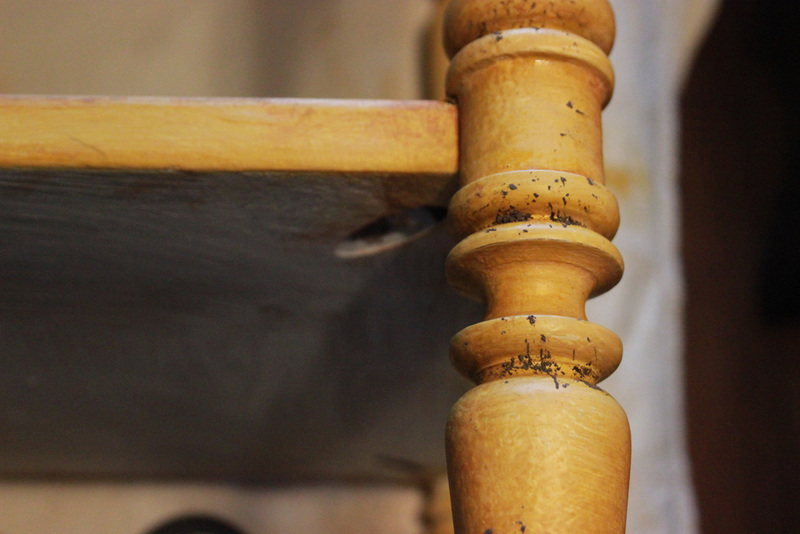 You can see that the drawer-front was sanded back to bare wood in places. 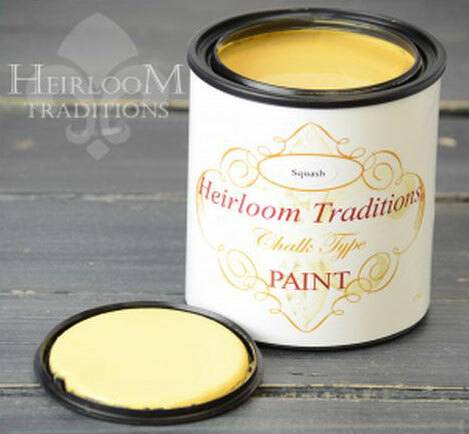 This will help to ‘sell’ our antiqued finish in the long run. 10. Now, it’s time to begin aging the piece with layers of color. 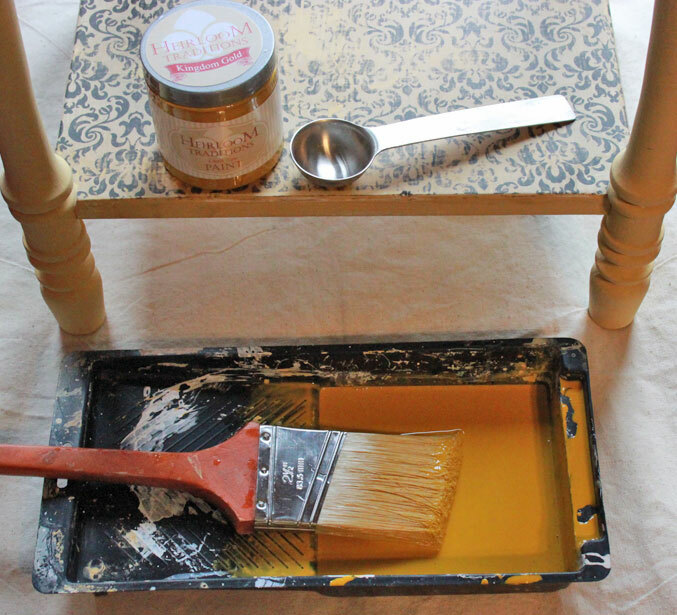 Mix equal amounts of HTP Chalk Type Paint in Kingdom Gold and water. Mix thoroughly. 11. 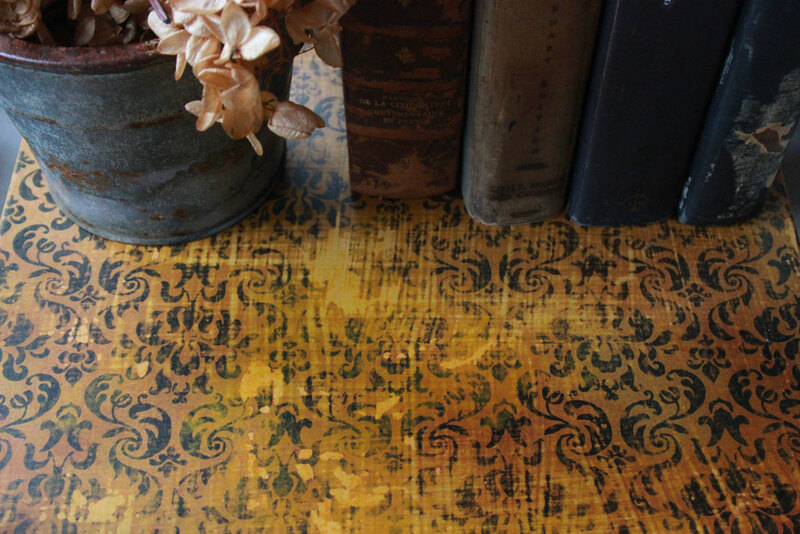 Be ready with some clean rags, and brush a generous layer of the color wash over the patterned paper. It will be runny, so work on a protected surface! 13. Working in sections, paint the wash of deeper color over the entire piece. 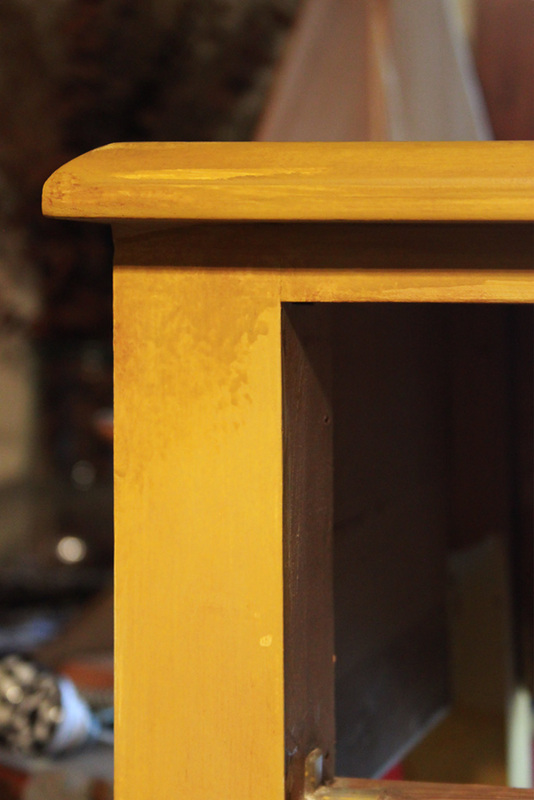 Wipe back before it dries, allowing the color to gather in the nooks & crannies. Rinse your rags as needed. 14. Allow the first layer of wash to dry. Add as many layers as required to create the depth of color you desire. 15. 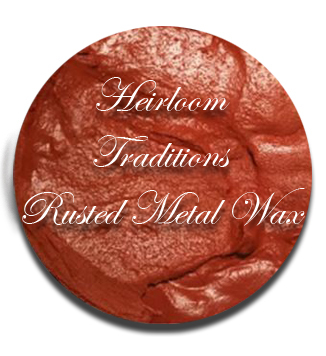 When all is dry, it’s time to add more depth and color with waxes. 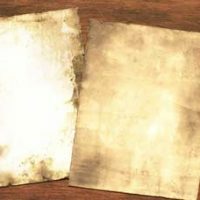 To begin, gather clean dry rags, the Old Gold Spray Wax, and the Rusted Metal Wax, along with your Best Chalk Brush and an ordinary artists brush. 17. Smooth the Spray Wax with a brush, then wipe it back while still damp. 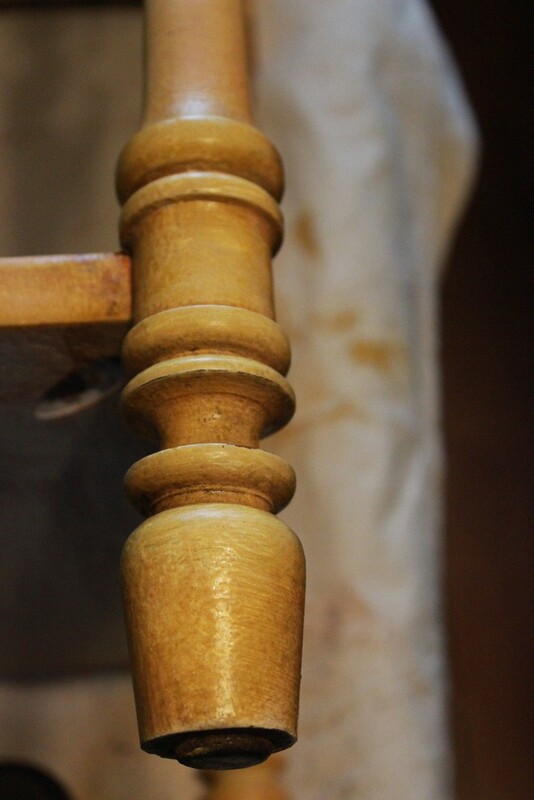 This does not require the same kind of elbow grease that the solid waxes do. 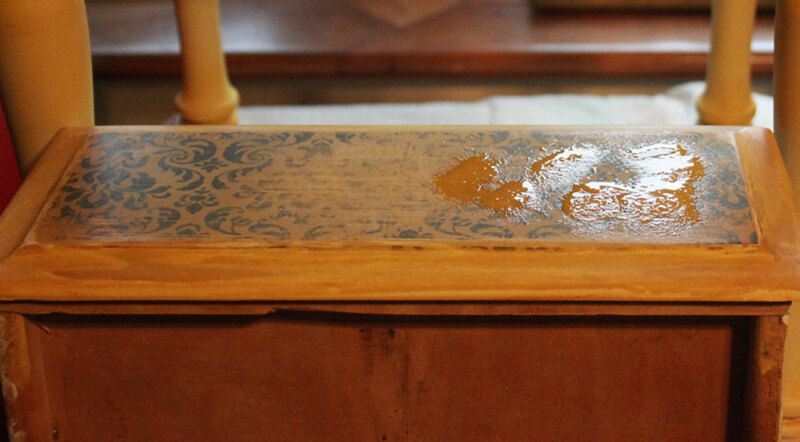 It also cleans up with water, making it a wonderful alternative to most solid furniture waxes. 18. Use the Best Chalk Brush loaded with HTP Rusted Metal Wax to add deeper intensity of color to selected areas of the piece. I concentrated on the nooks & crannies, and random areas of the patterned paper. 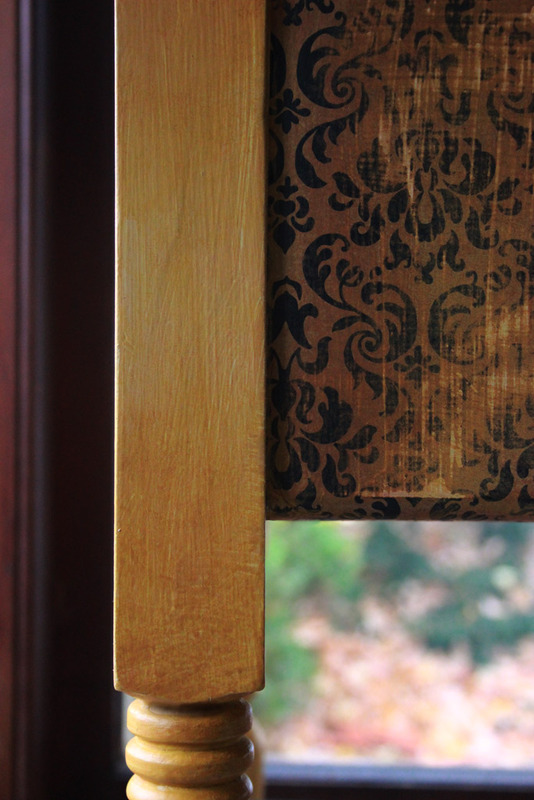 Wipe back with rags to burnish the waxed surfaces. 21. Work the pigment into the surface with a brush. 22. Wipe away the excess with rags, then burnish. 23. Install a drawer pull. 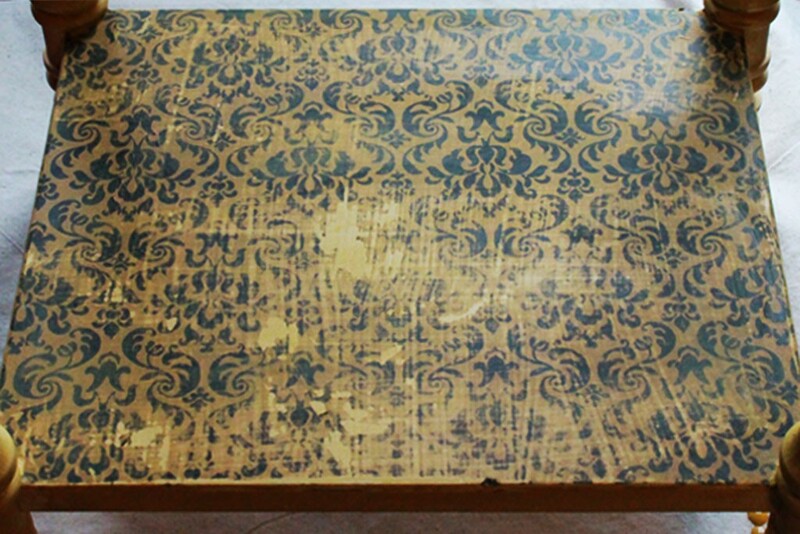 This one (from Hobby Lobby)was coated with HTP Kingdom Gold, then wiped back. 24. Coat the tabletop with a layer of HTP 1Gel for extra protection. It will dry quickly, leaving a smooth satin finish. Thanks for joining me for this tribute to the golden hues of autumn, and the charm of timeworn surfaces! 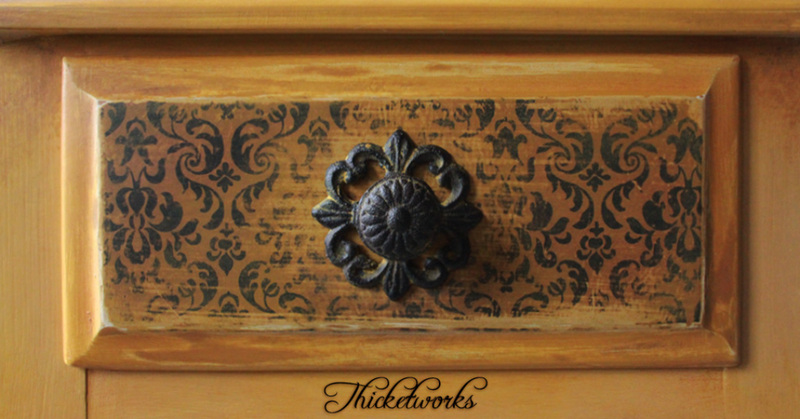 If you crave the depth of weathered finishes and the glamor of grunge, stop by Thicketworks to add more techniques to your artistic arsenal! You’re always welcome there! 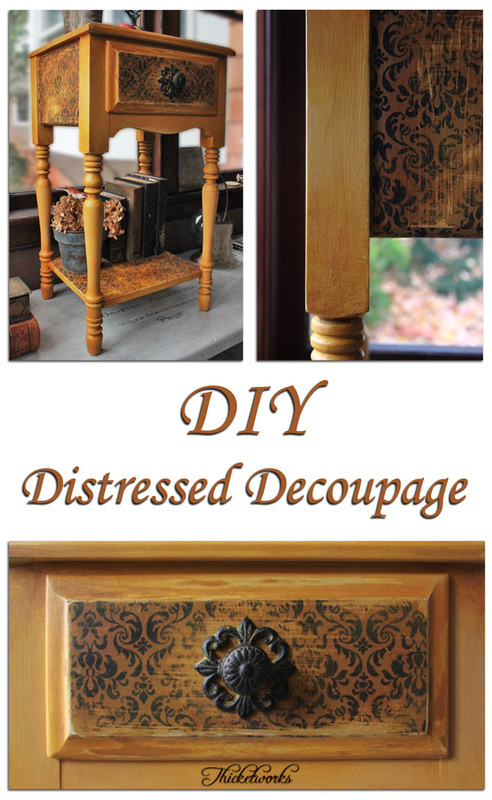 That is a really lovely little table redo. 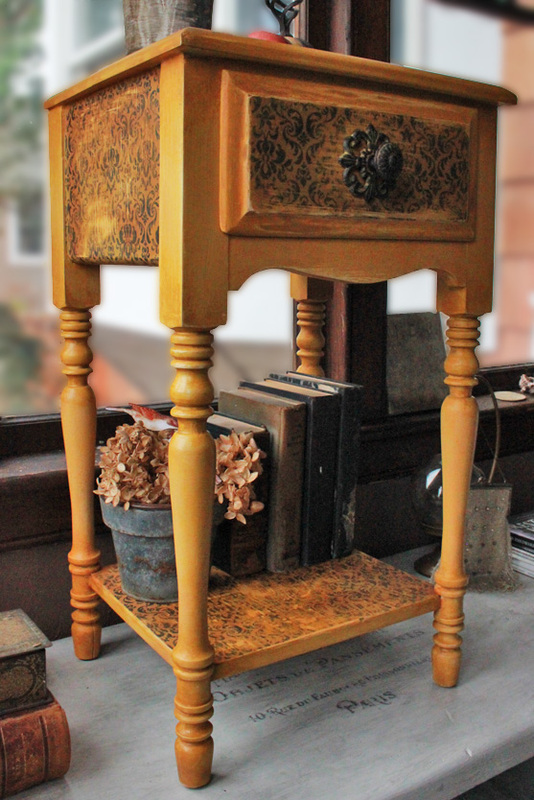 So glad you shared the photos and how you achieved the aged, golden patina! Wonderful detailed tutorial and fabulous end product! I was not aware of spray waxes (this could be a great thing for me, as I smashed my dominant wrist 11 years ago and cannot put weight on that hand in the flexed position needed for sanding and waxing. I am sure there are others out there with arthritis, etc., that would find a spray wax much easier). I love so many of the things you show along with the Graphic Fairy; I do have one small quibble that I do get that many North Americans would not notice: your tissue paper on the drawer front is upside down! 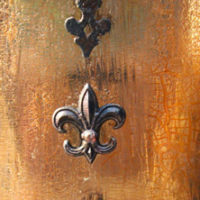 If you look, you will realize it integrated in the design a fleur de lis – the lily, symbol of France – nodding upside down! 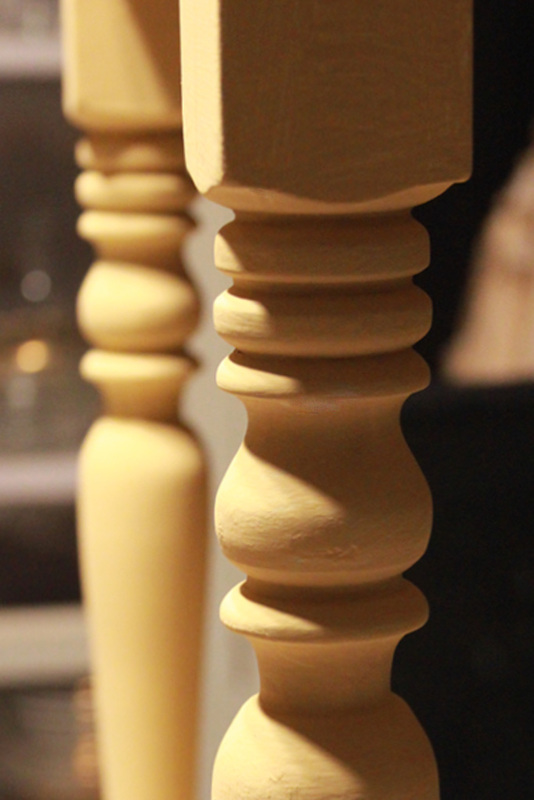 Don’t forget to step back occasionally to look at how your project is coming together! Hi Gabrielle! 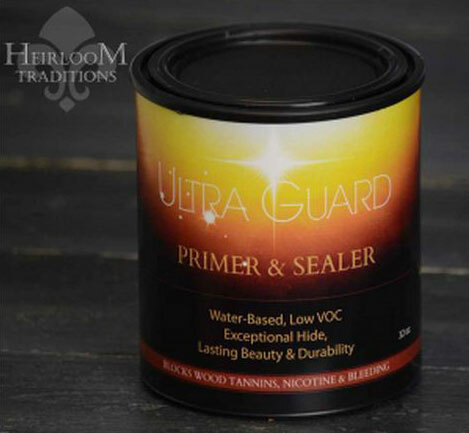 Spray wax is definitely less taxing on the hands than solid waxes…I hope it makes it possible for you to seal your projects without sacrificing your hands. 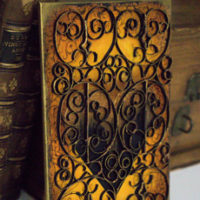 re: the fleur de lis – I actually studied the design on this paper very carefully before ‘deciding’ which way was ‘up’. I then studiously made certain to orient it all the same way. Oops! Thank you for your keen eye! I love her stuff. Went to her website, she is so talented and creative. I’m so glad you stopped by her blog, she really is so talented!! I LOVE it! I didn’t realize how much work went into creating a piece like this, but it was worth it. OMG, this is gorgeous! 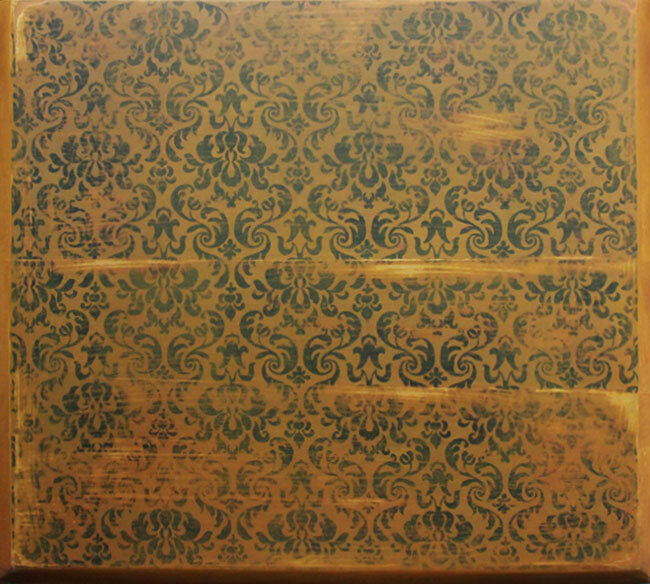 I want to try this on my grandfather’s old trunk~it’s in terrible shape on the outside, though the inside still has its original lining. The outside is painted a bright yellow and the straps are painted shiny black, ugh. I think my Mom did that~~Mom how could you?! Hi Denise – sounds like you have a real treasure there! I had to laugh when you described how it was ‘transformed’ by your Mom…I think we can all relate to those not-so-awesome design choices by our parents! 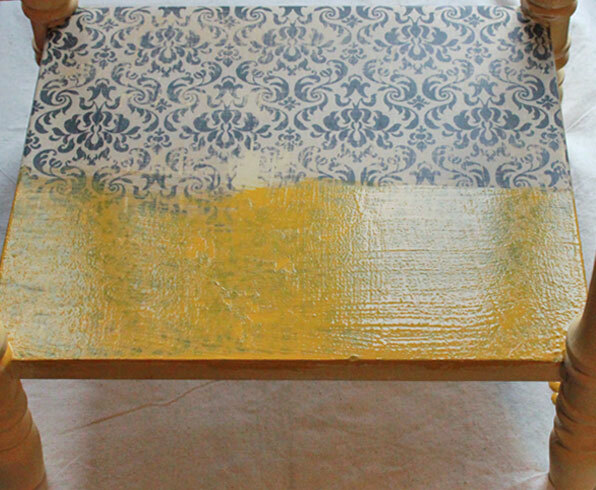 I hope you try this method – I love the way it brightens up our old cast-offs!